Rick Haith comes to Kansas City as a native of Lincoln, Nebraska. Beginning in 2011, Rick was a Certified Therapeutic Recreational Specialist (C.T.R.S.) and an Adaptive Sports Coordinator for Madonna Rehabilitation Hospital in Lincoln, and he was responsible for planning and implementing functional interventions in the realm of physical rehab. 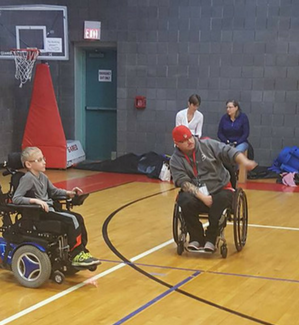 While at Madonna, Rick also developed a diverse and inclusive adaptive sports program for the greater Lincoln, Nebraska area. Rick was able to improve and create a wide variety of adaptive sports programs. These programs included wheelchair basketball, youth and adult wheelchair tennis, power soccer, archery, marksmanship, and adaptive bowling. His passion for adaptive sports programming led him to grow the program over 480%. Rick received his Bachelor of Science in Education, Specializing in Therapeutic Recreation, at the University of Nebraska at Omaha. Rick has received several awards for his efforts in patient care and in adaptive sports that include: Trio Achievement Award 2006; Convocation Award from the University of Nebraska at Omaha, 2010; Physical Education Outstanding Service Award from the University of Nebraska at Omaha, 2010; Trauma Champion from Bryan Hospital, 2015; Outstanding Diversity Achievement from the Lincoln Tennis Association, 2016; Outstanding Diversity Achievement from the Nebraska Tennis Association, 2016 and he was inducted into the EducationQuest Foundation’s Hall Of Fame in 2016. Rick continues to maintain his CTRS certification through the National Council for Therapeutic Recreation Certification by attending Therapeutic Recreation conferences and symposiums that meet the American Therapeutic Recreation Association's standards. Rick became a Certified Adaptive Recreation & Sports Specialist (CARSS - II) at the second level in the spring of 2018. 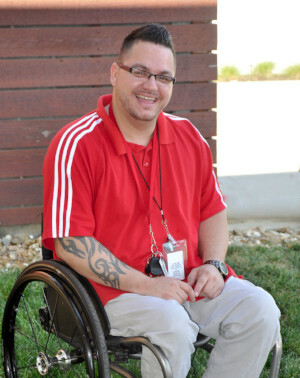 Not only is Rick certified as a Recreation Therapist, he is an Adaptive Sports Coordinator. 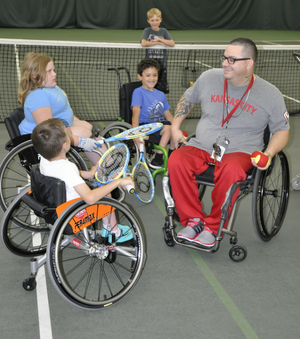 In his career, Rick has been trained by both Jason Harnett, current head coach of the U.S. National Wheelchair Tennis team and Dan James, former national manager of the United States Tennis Association (USTA) and former head coach for the U.S. National Wheelchair Tennis team.